What can help you get rid of anxiety? Would you like to know more about motherhood? Many women have told me that when they become pregnant, they are shocked by how some of their relationships change. Some women feel let down because their partner doesn’t seem as involved as they are, or others feel shocked that friends seem to distance themselves. Babies can change relationships before they are even born, and having space to process these changes can help you enter motherhood feeling more resilient. 2. You might find that old feelings about your own childhood come up and need space to process them. It’s the old cliché that counsellors just want to talk about your childhood, but actually there is no time when this is more true than when you become a parent yourself. You might want your child to experience childhood in the same way you did but feel scared that you can’t manage that, or you might want them to have a totally different experience and not know how to make that happen. Either way, exploring your feelings can give you a better basis to be the parent you want to be. 3. Counselling offers a judgement free zone to talk about some of the feelings you might experience, even the ones that you don’t want to experience. Sometimes you don’t feel the way you expect to in pregnancy. You might feel low or anxious. You might feel resentful or angry. Not the picture of glowing and blissed out expectancy that maybe you were envisaging. If you’re distressed by how you are feeling, it might feel as though other people will judge you or think that something is wrong. Counselling can provide a safe space to explore these feelings, as counsellors are trained NOT to judge. 4. Counselling helps you create space to think about your baby, which can be hard when life is so busy. Creating a reflective space to connect with your baby can be really hard, when life is already full enough. 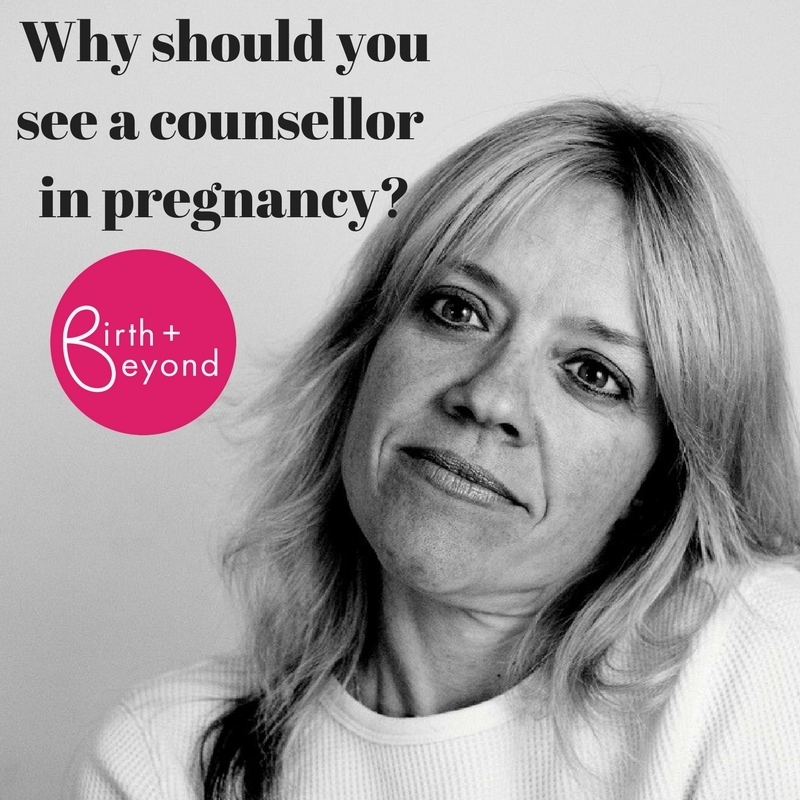 Some mothers choose to have counselling because they know it creates a regular appointment for them to connect with how they feel about their unborn child and to reflect on their hopes and fears for the future. Sometimes having someone else there asking questions can help you create that space, if you’re struggling to create it for yourself. According to research, counselling is one of the only things known to help reduce your likelihood of getting postnatal depression. The mechanism by which that happens hasn’t yet been fully figured out (and it might be because of some of the reasons given above), but if postnatal depression is something you’re concerned about, it might be worth considering having some counselling during pregnancy. If you found this post interesting, you might be interested in some of the other posts I have written, including my five top tips about choosing a buggy, and a post about what might affect you in motherhood. I have also guest written a piece for the Every Mum Movement about why pregnancy is not just a waiting game. If you're interested in finding out more about me and the counselling service I offer pregnant women and mothers, you can check me out here. I'm always interesting in hearing what you think, so please do feel free to get in touch! How will you know when you have bonded with your baby? Bonding is now seen as such a big issue - but does it matter if you don't bond immediately? And what can you do if you don't? I was recently at an event for parents-to-be and it got me thinking about what might be helpful for them to hear at this stage. Some of the things I found useful were having some of the myths of motherhood debunked, so I thought I would share a few here. 1. There is no such thing as maternal instinct. Now I realise that is a pretty controversial statement, and I am going to temper it by saying that I am not talking about the sense of protectiveness and responsibility that mothers feel for their baby. A mother's brain changes during pregnancy and can stay altered for up to two years in order to help her be protective of her child. However, mothers are NOT born with an innate knowledge of how to look after a baby. We learn this. And it has been shown that it actually doesn’t matter what your gender is – you take the same amount of time to learn how to look after a baby whether you are male or female. It is like a job – you learn by watching other people, hanging out with people doing similar things, reading books or searching the internet, being given advice by people who have been there already or ‘industry experts’. However, there is no induction, an incredible amount of responsibility early on, poor working hours and an ever changing set of goalposts. Most of us will never ever learn quite so much quite so quickly, from how to manage different drops of kerbs with different buggies, to how your baby likes to be held at different times, to what kinds of groups there are going on around you. It’s a massive learning curve, and most of us know very little about it until we have a child ourselves. 2. You are not a ‘bad mother’ if you don’t fall in love with your baby at first sight. We are led to believe than we’re meant to be bowled over by an oxytocin-induced juggernaut of love for our baby the second we lay eyes on them, but that is not the case for everyone (or even the same person with different babies). Research by the NCT suggests that at least 1/3 of new mums do NOT feel an immediate bond with their baby. And there are many things that can affect our ability to bond with our babies as soon as we see them. Think about it - how many of us fall in love at first sight? For many people, falling in love is a bit of a slower burn, and bonding takes a bit of time, but the good thing is that there are lots of things you can do to enable bonding. Skin to skin is crucial, and massage, bathing with and cuddling your baby are all brilliant for this. Slings are useful for bonding too. And activities such a Video Interaction Guidance and Newborn Observations are great tools for learning more about your baby and who they are. The thing about bonding is that it helps you enjoy being a parent more, so it’s worth pursuing even if it isn’t there right at the beginning. Feeling anxious, overwhelmed, out of control, frustrated and resentful are all normal parts of being a new parent. Yes, you might be lucky enough to find the process of becoming a parent incredibly joyful and affirming too, but the reality is often less fun than it looks from the outside. Not loving parenthood does not mean you are ‘getting in wrong’, and when people say ‘treasure ever moment’, remind yourself that it’s easy to say that when you’ve got a lot of distance on the situation. You don’t need to feel guilty about occasionally wondering if you’ve made a mistake by becoming a mother. However if these feelings don’t go away with reassurance or else you start finding yourself anxious about them for any reason, then you need to check them out. Here is a good guide to what feelings are worth speaking to someone about.